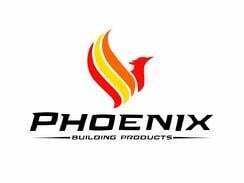 Phoenix is a full service building materials, mason materials, hardscape materials, veneering stone, ready-mix concrete, lumber, millwork and winter deicer supplier. Family owned and operated on 1 acres, at this location for 60 years. At Phoenix, we are dedicated to supplying the best products available to meet your requirements. Our technical staff is available to sort out the details that go into both small and large projects, and offer information on how to execute them. We will discuss your requirements, and share our practical knowledge on product application. Each year we add new displays to assist our customers in selecting the products right for them. Currently we have a brick and stone design room that contains over 1000 samples of brick and over 50 different shades of mortar cement, wood and fiberglass columns, skylights, architectural moldings and more. In front of our store and supply yard we have over 5,000 square feet of various interlocking paving stones, irregular patio stones, retaining walls, natural stone veneer and brick veneer. Behind the stunning presentation of our sidewalk displays lies our supply yard where customers are welcome to walk through and see the material that will be installed at their home. We appreciate your time in reading through this letter. We are sure you have questions and direct contact is always more pleasant. We are proud of what we have accomplished here and welcome a personal visit. 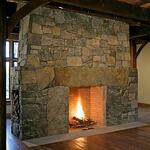 PHOENIX BUILDING PRODUCTS IS HERE TO HELP WHILE YOU PLAN YOUR UPCOMING SPRING PROJECTS! At Phoenix, you'll not only find the widest selection of quality building materials products, you'll also get something extra. It's the convenience of one-stop shopping, the in-depth knowledge of our people, and the commitment to providing the right solutions. So give us a try. You'll like our spirit.